Generation 3: The Third Spouse! I’m a bit wiped out from going to a concert yesterday, but this was saved in drafts and I can post without too much typing. 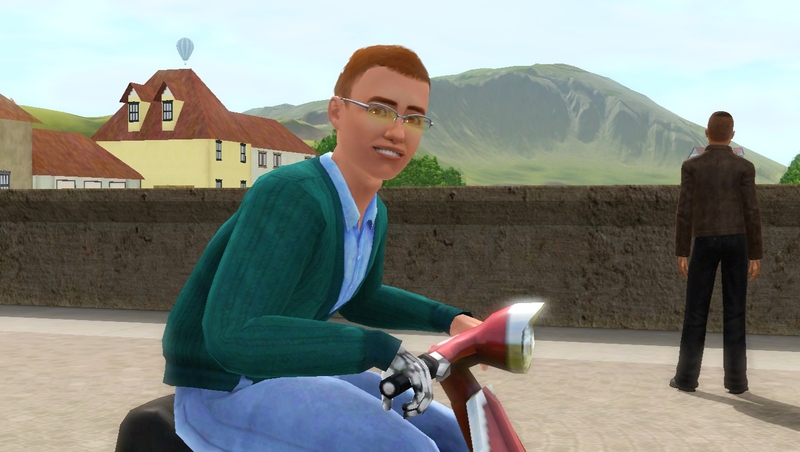 Brady Davies spent his early years in an orphanage in the bustling metropolis of Simham city. He was very young when his parents passed away so he has no memory of them, or any life before becoming a ward of the state. Brady realized at a very young age that life is difficult and nobody else was going to care for him. The lines between good and bad, right and wrong, became blurred as he developed a dark side. Brady learnt how to pickpocket and take from the rich and give to himself. He worked many odd-jobs before ending up in Lucky Palms as a babysitter for the Wolfe family. 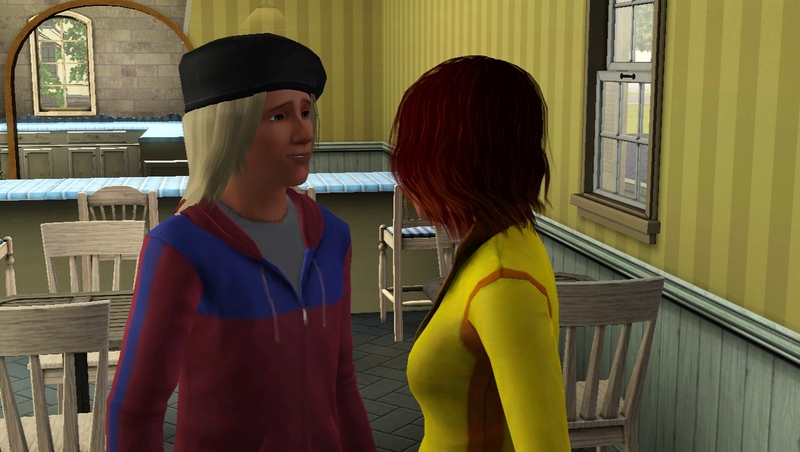 After spending their teenage years dating, Serefina and Brady eventually married and plan to continue the Wolfe legacy together. Now what is Brady’s connection to the wealthy Davis family, well-known for being illustrious philanthropists? Broderick and Vivienne Davies, well-loved by all for their charitable nature and affluent business skills were tragically killed during a routine mugging in one of Simham’s darkened alleyways. There is certainly nothing concrete that ties the Davies’ billions to poor, orphaned Brady. Close friends and estranged family members often question, “What became of Broderick and Vivienne’s only son? 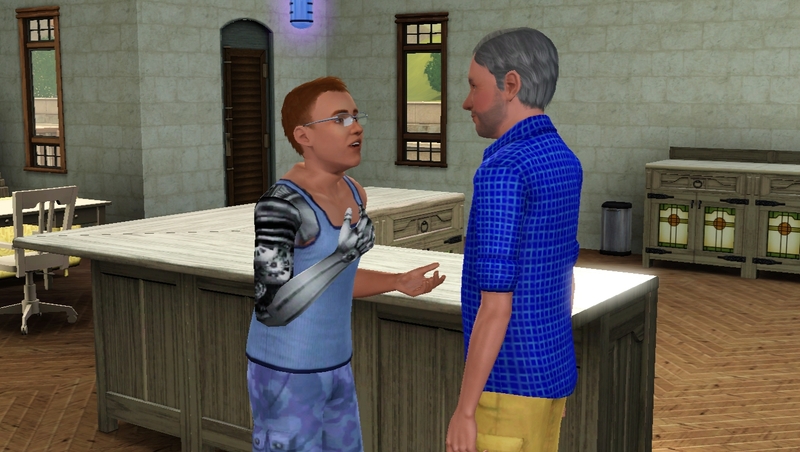 Where did he end up anyways?” Lost in the welfare system, shifted from orphanage to orphanage, it would be difficult, nay impossible, to find a papertrail connecting Brady to anyone, let alone authenticate him as the rightful heir to an estate worth billions of simoleons. When asked for comment, the executor who is currently in possession of the Davies’ vast fortune had “no comment”. The family former butler Alfred has indeed been very fortunate in this regard. Loner: Not everyone is a social butterflies. 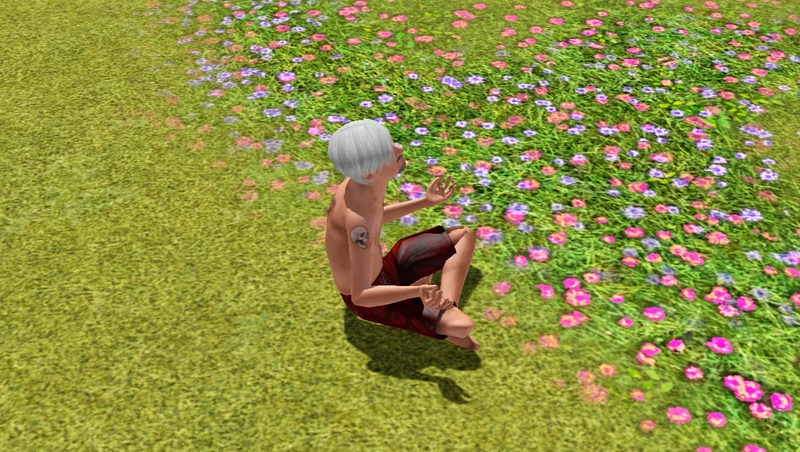 Some Sims prefer to be by themselves in solitude, away from the craziness of the outside world. Can’t Stand Art: Is it a Monet? Rembrandt? Van Gogh? 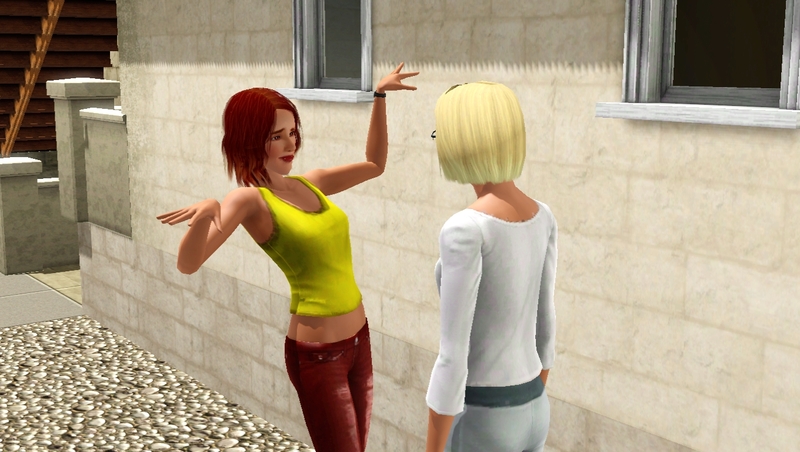 It really doesn’t matter, because Sims with this trait simply hate anything that is artistic or decorative. What a bummer! Family-Oriented: Family get-togethers, taking care of children, Sims with this trait like being surrounded by kin and relatives alike. Kleptomaniac: Sticky fingers, five-fingered discount, or maybe it just fell off the back of a truck. Possession is nine-tenths of the law, and klepto-Sims often wind up “borrowing” other people’s property. Charismatic: Brady practically exhumes Charisma, and he will need all of his skills to meet and persuade the locals to help him out! Fashion Phenomenon: Brady knows that black is the new thing. He feels that silk Tafetta is going to be in next Spring. He can just sense what people are wearing next season. His lifetime goal is to reach level 10 of the Stylist Profession. P.S. Pardon the pun, but this career really isn’t my style. It takes me forever to use CAS and compared to the Private Investigator career this one looks kindof iffie. So I can almost guarantee you that Brady is not going to be a fashionista or complete this LTW. Hello all! This is the Civic Holiday long weekend, so I’ve been trying to catch up on everyone’s blogs. Work is winding now; we were supposed to be finished on Friday but they asked me to come in next week. My brain is going to be so grateful once this is over! Imagine scanning barcode after barcode, 8 hours straight, that’s nearly 1,600 books a day. Also, I keep meaning to mention this: This blog’s got over 500 views! Actually, now it’s over 600! So thank you to everybody who’s enjoying the story! Tristan remembering his lost love. Yep, they’re in France again. Tristan is still working on the curse of the Dragon Cave from China, and he learns from the nectar merchant that James Vaughan (him again!) 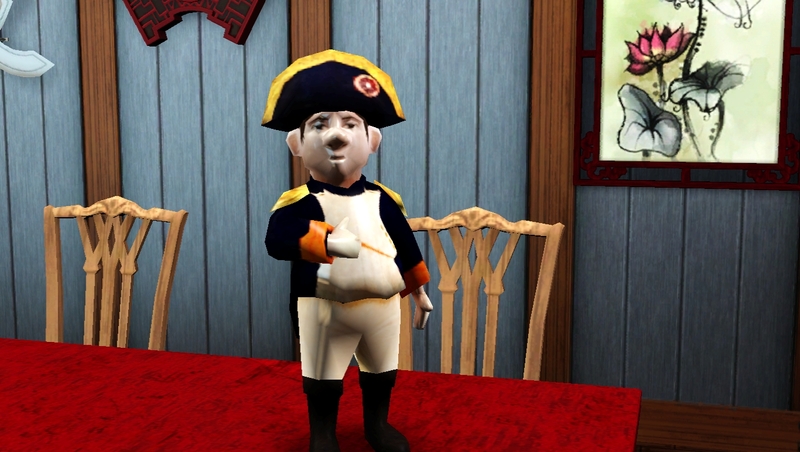 got in a fight with the big bad, Admiral Landgraab, when tried to rescue Anastasia Beaverhausen. Long story short, find the keystone in the Chateau. Cascadia getting struck by lightning. Before marrying Pascal Morel, Cascadia gets to meet some of her future in-laws. Apparently papa Gérard has passed on, but Edith is still alive and married to someone named Beau Saint James (who I believe is a woman). Pascal also has a teenage sister named Celina. Anywho, I sent Cascadia to Tuatha’s Garden which is apparently one of the toughest dungeons in the game. There’s also this guide which I found most enlightening… especially since none of the pictures load. Serefina makes a new friend. Niobe’s on a quest to find that French Gnome in the Mausoleum. Also as a side-effect of joining the Ghost-Hunting team, she’s also got the super-power of being able to Appease Ghosts, which Google says isn’t really that useful. I guess if I’m ever bored with legacy ghosts I can use it. Prometheus joking with some lady. Normally I make my Sims jog everywhere to work on their Athletic skill, but for Prometheus I’ve decided to let him fill out a bit instead. I’m imagining him as an Inventor, and they don’t necessarily have the most active lifestyle. Serefina met a French fireman, Gustave Petit. They have matching Zodiac signs and he’s a Snob. I’m not a great judge of handsomeness, but she gets the floaty hearts thing which makes me think they’re compatible. It has me considering if she should drop Brady Davies and chose Gustave as her spouse. 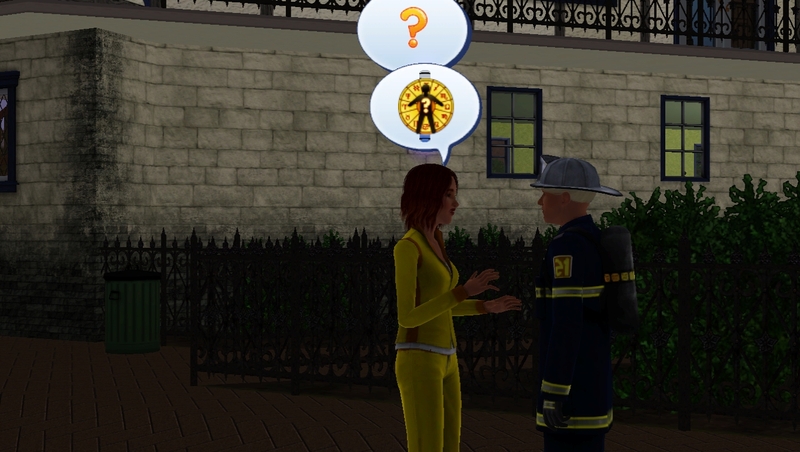 Serefina meets a fellow fireman. Glitch Time: I saved here, and when I reloaded I had a lot of problems with the game crashing. I’m still not 100% sure what the problem was. I think it was because the NPC’s firetruck disappeared, or because somebody was excavating, or because an extra Scooter appeared in someone’s inventory, or something the script error called a “bogus item”. 😕 It was very tiresome. I ended up deleting the cache files, resetting 2 of the family, and the NPC. FYI: It is a TERRIBLE idea to delete the cache files on vacation. Why? Because when they went home all of the lots in the neighbourhood were unnamed. Ew, how did Gustave’s hair get so long..? Tristan finished exploring the Landgraab Chateau, which is now 6 out of 6 French tombs! There’s only one country left for his LTW: China. Niobe got to meet one of the French ghosts, Gertrude Lescot, who died from drowning. Random fact, Gertrude doesn’t have any traits. Glitch Time again: Cascadia’s still in Tuatha’s Garden, and there are several routing issues. There’s 2 hallways that are just too skinny for a Sim to walk through, Virgil wasn’t able to teleport in there, but you need to step on a switch in order to move on. I ended up editing Tuatha’s Garden so that Cascadia could finish it. Nothing cheaty that would make the dungeon easier. I basically had to reconstruct the two hallways so that they were wide enough to walk through, and then painted them to match. Very annoying. She did find a lot of rare fruits on the way to the island though. Most of the family were just doing random adventure quests, so I had them hang out instead. Prometheus and Tristan, Serefina and Niobe are all friends. Prometheus and Tristan hanging out. However, Niobe and Prometheus are borderline-enemies now. He looked like a little Napoleon. Tristan Wolfe, the second Generation. Tristan is the first-born child of Alexander and Roxanne. He is the non-identical twin of Virgil. He is currently working in the Journalism career and having an affair with Tanner Lancaster. Immune to Fire: Fire cannot kill a dragon, neither can it harm Tristan. He’s basically a superhero. He inherited this trait from his mother, Roxanne. 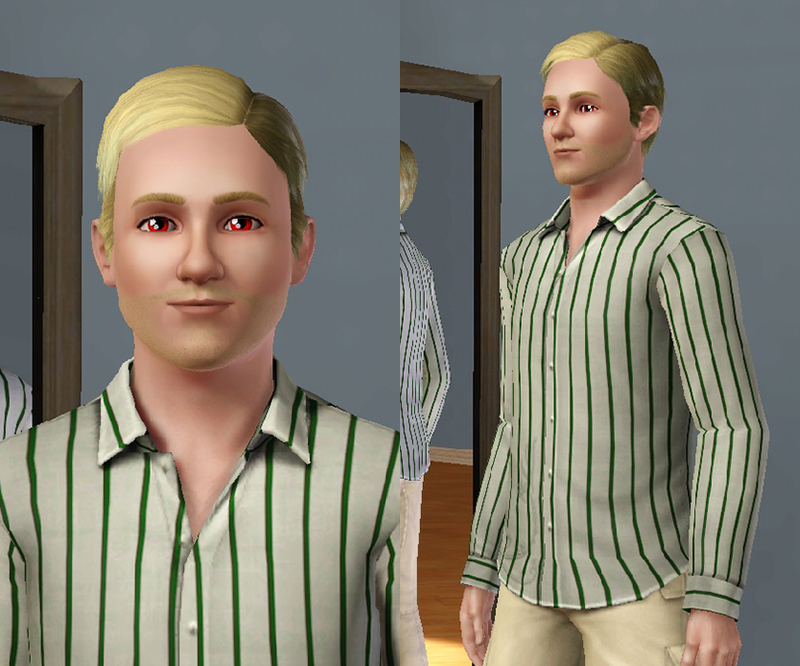 Evil: Alas, all Sims born into the Wolfe family are evil by nature. They take pleasure from other’s pain. Some Sims just want to watch the world burn. That is why they have the red eyes, non? Light Sleeper: What’s that creaking noise? Who’s walking around out there? Sims with this trait have acute hearing and can get woken up very easily. Adventurous: There are dank mausoleums to explore, dangerous traps to disarm, and priceless treasures to be discovered. Adventure awaits! Loves the Outdoors: Who wants to be cooped up inside? 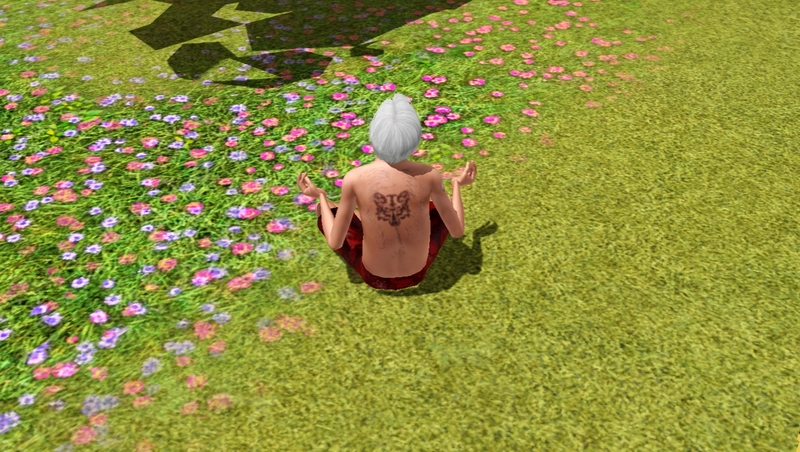 This Sim loves to be outside with the fresh air and the chirping birds! 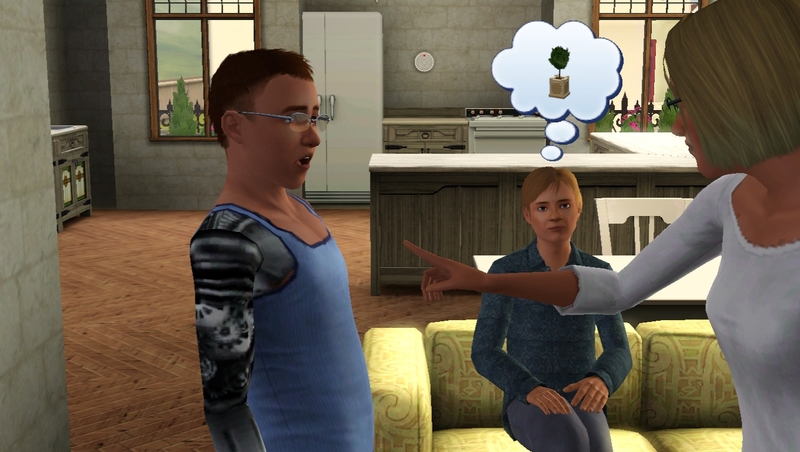 Schmoozer: Armed with flattery and a silver tongue, Sims of this persuasion are great at smooth-talking others. Great Explorer: Tristan knows there are untold mysteries around the world, just waiting to be discovered by a Great Explorer. To reach his goal, Tristan needs to fully explore at least 6 tombs in China, Egypt, and France. Favourites: Tristan’s favourite dish is Shawarma, he liked French music, his favourite colour is Blue, and he’s a Scorpio. Tristan is a Celtic name which means “the noisy one” or “the sad one”. There is a Tristan in King Arthur’s legend. But I actually named him after Tristan Xenobia from Ogre Battle (an old game from the 16-bit era) because I thought it sounded noble. 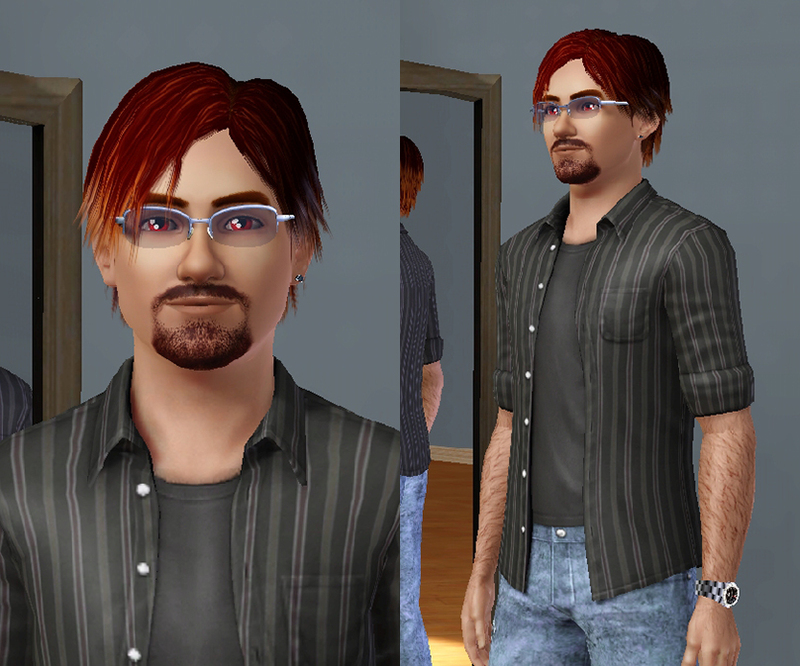 Virgil Wolfe, the second Generation. Virgil is the second-generation Torch-Wielder. He is the second-born child of Alexander and Roxanne. He is the non-identical twin of Tristan. He is currently working in the Criminal – Thief career. He is married to Keri Rocha and their children are Niobe and Serefina. Pyromaniac: Crackling flames, raging infernos, the blazing heat. Sometimes he thinks he could burn this whole world down. 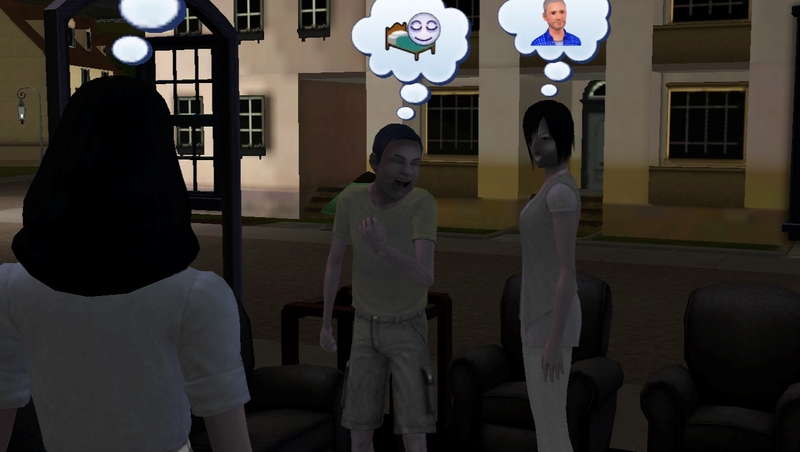 This Sim is able to create fires with his mind! He inherited this trait from his mother, Roxanne. Disciplined: Wax on, wax off. 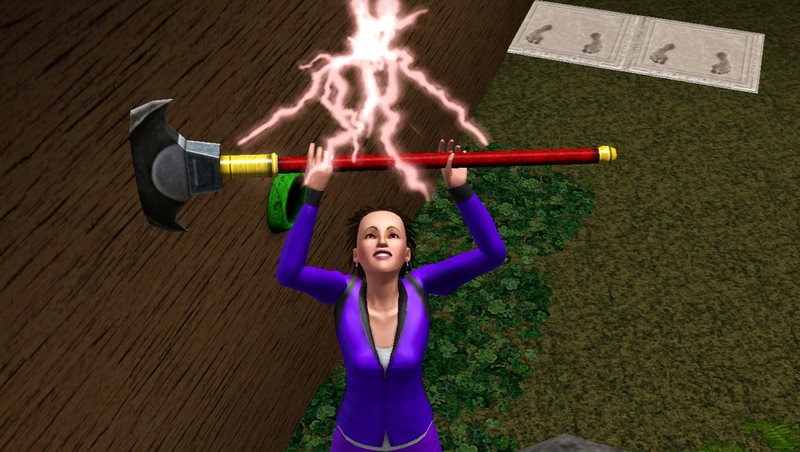 Sims who possess a focused mind are better at mastering the ancient art of Sim Fu. Clumsy: Oh, Virgil! Dropping this, spilling that, you have such butter-fingers! Bookworm: A passionate learner and devout reader. 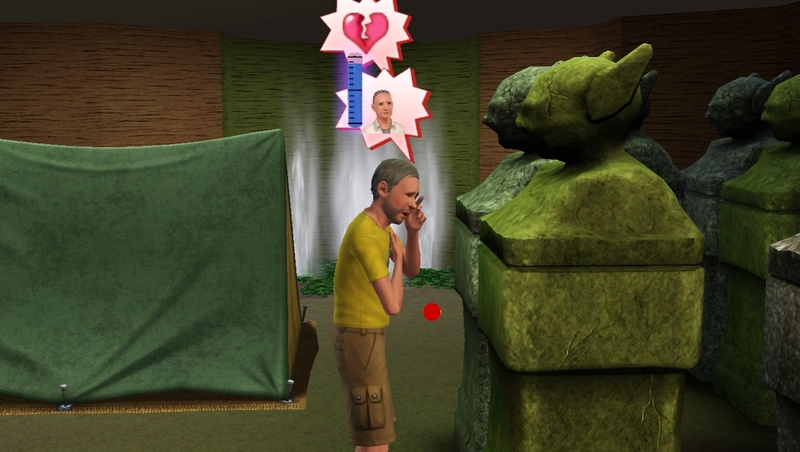 Sims with this trait always have their nose stuck in the latest literacy masterpiece. 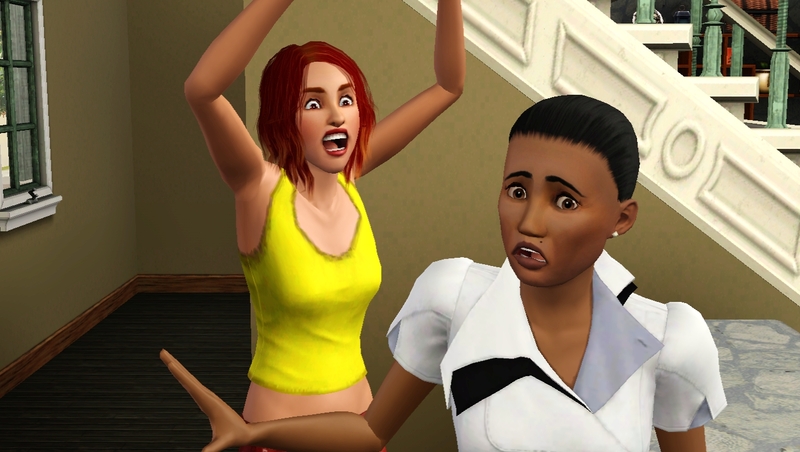 Burglar: Sneaky sneaky, you’ll never hear this Sim creeping up on you! He earned this trait from the Criminal – Thief career. Martial Arts Master: Virgil wants to become the ultimate fighting champion, the mixed Martial Arts Master. There are 2 requirements for this wish: firstly, Virgil needs to become an expert at the fighting style known as Sim Fu. Secondly, Virgil needs to challenge and defeat other martial artists to earn the rank of Grand Master. Favourites: Virgil’s favourite dish is Vegetarian Dim Sum, he enjoys Chinese music, his favourite colour is Spice Brown, and he’s a Scorpio. Virgil is a Latin name that means “flourishing” or “staff carrier”. I named him after the famous poet Virgil because I thought it sounded intelligent. Cascadia Wolfe, the second Generation. Cascadia is the third child of Alexander and Roxanne. She is currently working in the Culinary career and is dating Pascal Morel. Neurotic: Did I lock the door? Did I turn off the stove? Are they staring at me? 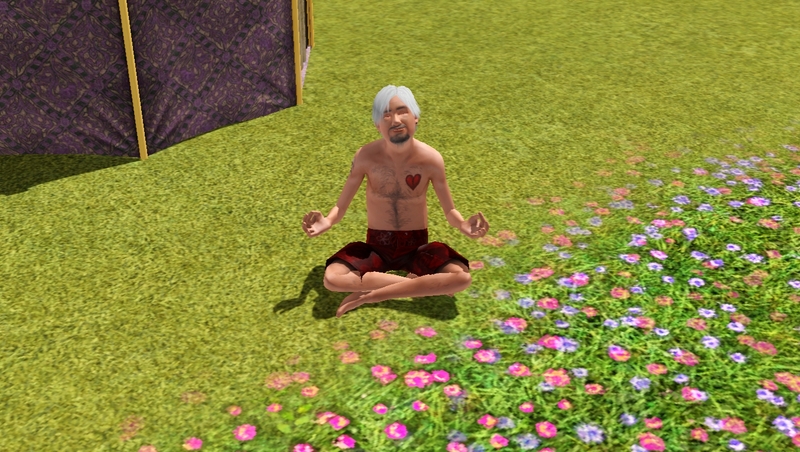 This Sim likes to worry about minor problems and unlikely situations. They are also quite keen on getting to the bottom of conspiracy theories. 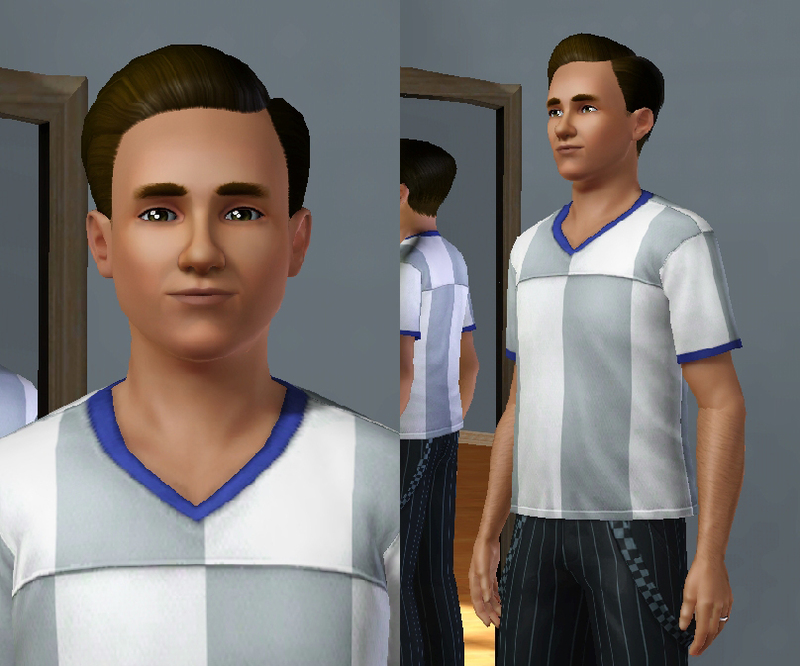 Perfectionist: Sims with this trait are methodical, because some things have to be just so. It takes longer to get things done, but it ends up being so much better in the end! Easily Impressed: You did that all yourself? That’s amazing! 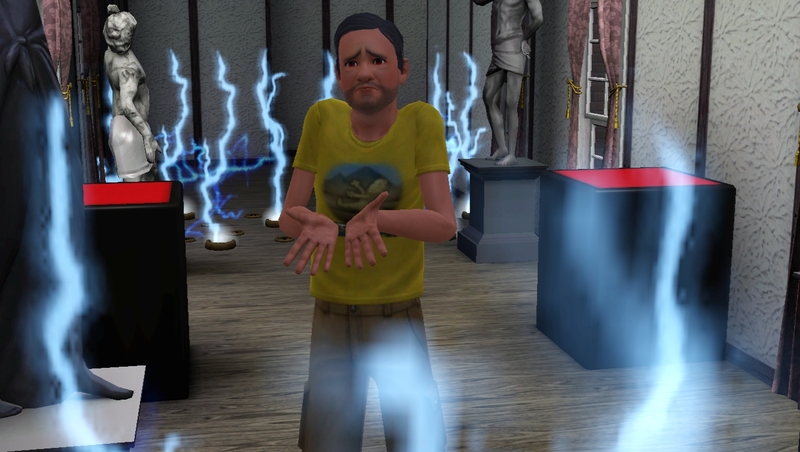 This trait makes Sims astonished by almost everything other people do. Bottomless Nectar Cellar: Cascadia wants to be known throughout the neighbourhood for having the best collection of nectar. To achieve this goal, her cellar needs to be filled with at least 50 bottles of wine nectar that are worth at least §10,000 in total. Favourites: Cascadia’s favourite dish is Spaghetti, she prefers Pop music, her favourite colour is Green, and she’s an Aquarius. Cascadia is a Greek name that means “cascade” or “waterfall”. I don’t think there is anybody famous with this name, but I saw it on a list of uncommon names and liked it. *Author’s Note: Argh!!! I had this wonderful post ready yesterday and then I pasted over it. I’ve done my best to rewrite it from memory, but it’s not as good as the first one. C’est la vie! Chapter 41: Do Babies Eat Sand? One man's words on beer, video games, writing, and the randomness of life.